May 29th in Clone Wordpress Themes, Premium Themes by Wordpress Jedi . Apple.com has a very unique look and feel to it. That’s actually the case with all Apple products. The design is clean and very intuitive. Whether Apple is trying to push the iPad or its other products, its website does a great job of doing that as it’s very usable and does not confuse you with too many bells and whistles. iBlogPro for WordPress is a clone WP theme that lets you duplicate the look and feel of Apple.com (similar by not exact) on your blog. Of course, there is more to iBlogPro than just its looks. The theme is designed for those who want to build a sophisticated, yet clean looking portal. It has plenty of space for you to promote your top products and drive your point home on your WordPress site. The nice thing about the featured section is the fact that you can display multiple stories on it and even add YouTube videos to it. iBlogPro is social media friendly as well. You can easily add your social networking profiles’ information at the top of your portal to give your visitors a better chance of connecting with you on those websites. iBlogPro is ready for localization and is search engine friendly. What’s most impressive about this theme is its powerful back-end. You don’t have to be well-versed in PHP to customize your theme. The back-end has plenty of features to keep you busy for a while. 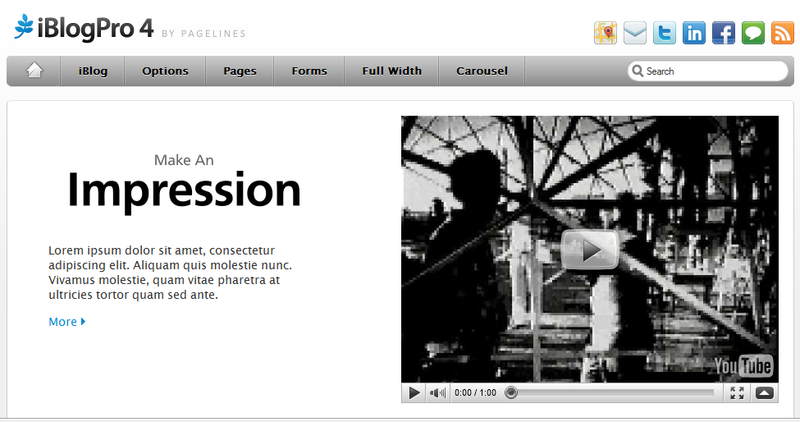 I used WordPress 3.0 beta to test this theme (thanks to PageLines for offering us with a test copy). As you can see in the above screen-shot, you have two pages to deal with using this theme. 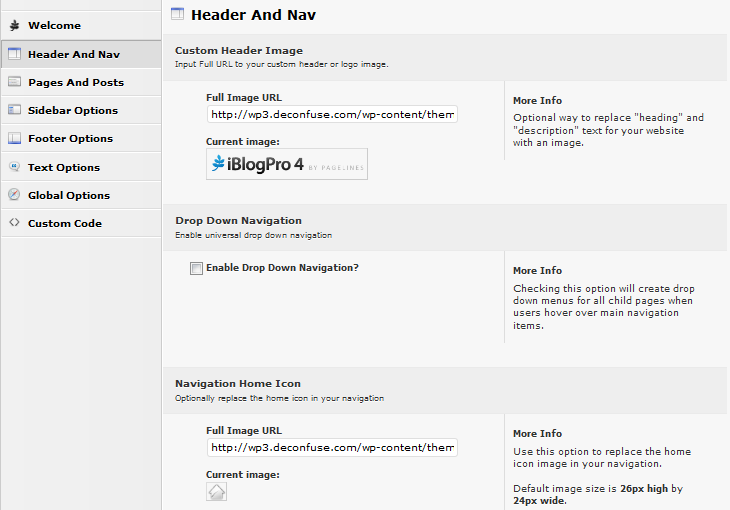 The Feature Setup page is all about managing the featured section on your portal. Whether you want to add content to that section, change the way it works, or add custom code to it, that all can be easily done on this page. 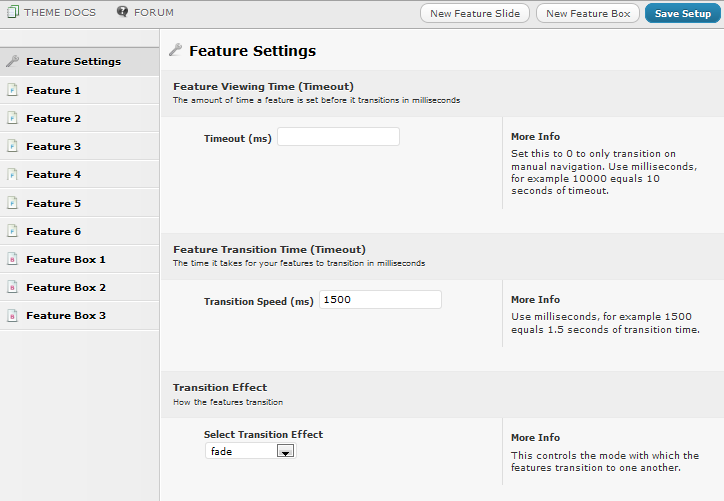 You can change viewing time, transition time, transition effect, and even make changes to your navigation. Customizing all aspects of your navigation boxes could not be any easier with all the options available here. 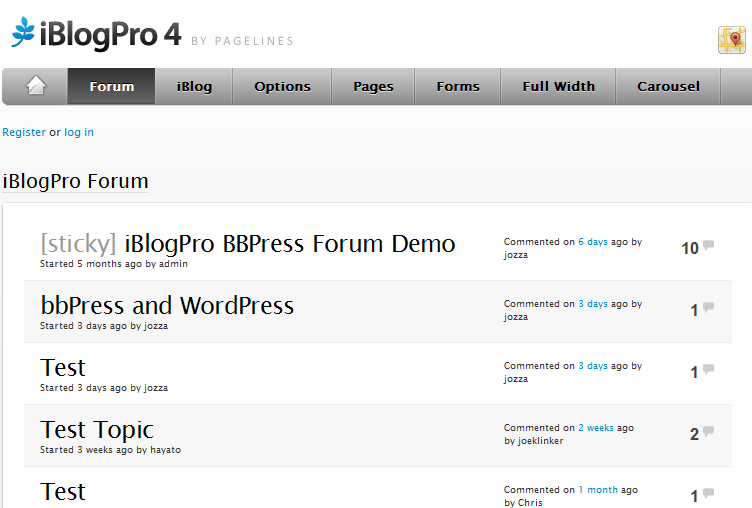 Here is the feature that sets this theme apart from others on the market: iBlogPro comes with an optional BBPress add-on that enables you to start a forum with the same look and feel as your portal. That means if you choose to start a forum around your portal, the look and feel will stay consistent throughout your web properties. Overall, iBlogPro is a very well designed CMS theme by PageLines that can be used to effectively start and manage a portal with WordPress. It’s pretty affordable and comes with its own matching forum add-on. Ready to go out of the box.